Oops, I'd seen this, and forgotten to post the link. Sorry, folks! Thanks for doing the honours, though, G - and thanks to Moya for giving you the tip-off! 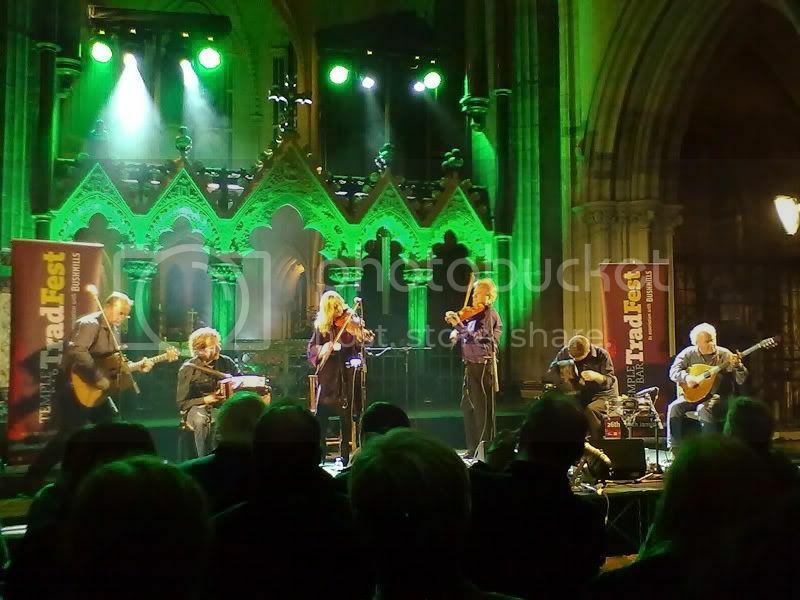 The Tradfest will be magnificent when last night is anything to by,Altan's gig was simply fantastic.The venue,the sound and the band of course made it a great spectacle,it's not hard to imagine what Saturday night is going to be like. I made a few photos,they are not top quality,but I'm sure that Susann will have more soon. Last edited by Dubhy63 on Sun Feb 20, 2011 11:36 am, edited 1 time in total. Great photos, as ever, Dubhy! I'm sure tomorrow night will be just as good, if not better! I know some of the forum have already gone to Dublin, but for those of us still to travel - have a safe journey, and see you tomorrow! Last night was another one to remember,Cíorras and Beoga put on a great show.I got photos of course but will post a few later because I haven't got time yet for the editing. 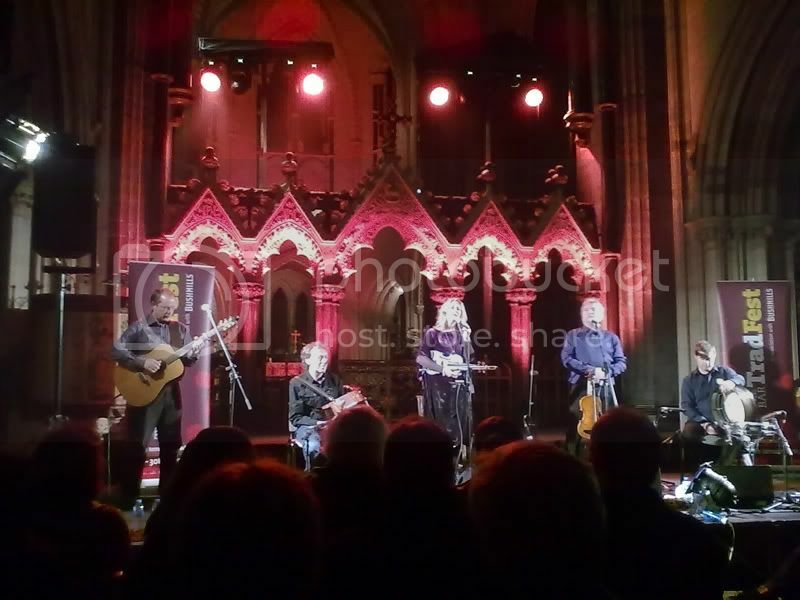 Sorry for the double post,but yesterday has simply been a fantastic day.The Clannad documentary in the IFI was followed by a question & answer session with the band.Great music in the pubs and on the outdoor stages,but the icing on the cake was last night's concert of course.There are actually no words to describe it,photos will probably say more.It also was a bit of a reunion for some of the gang on this forum,great to meet people in person. Editing the photos will take some time,I've picked one just for now,many will follow later this week. (((((((((((((((((The "Christ Church Gang"))))))))))))))))) Great to meet you all/see you again (delete as applicable! ). 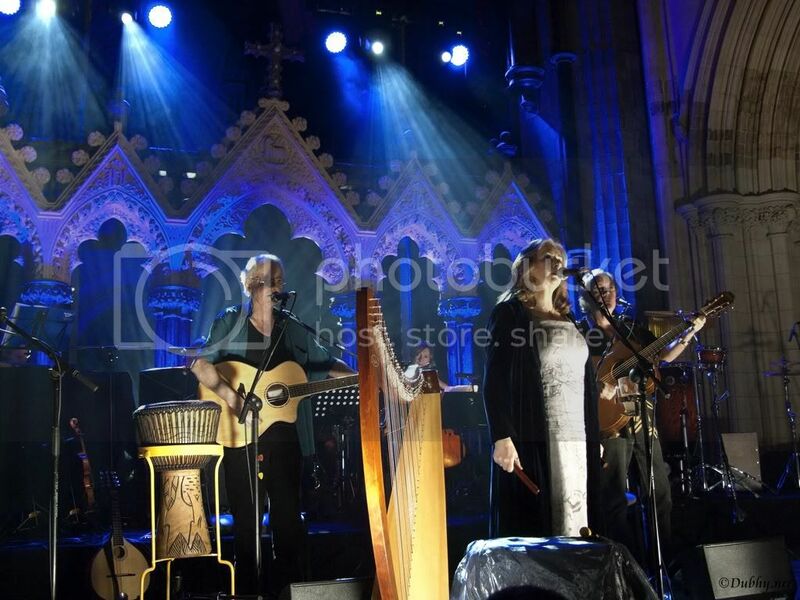 Let's hope Clannad give us an excuse to do it all again sometime! 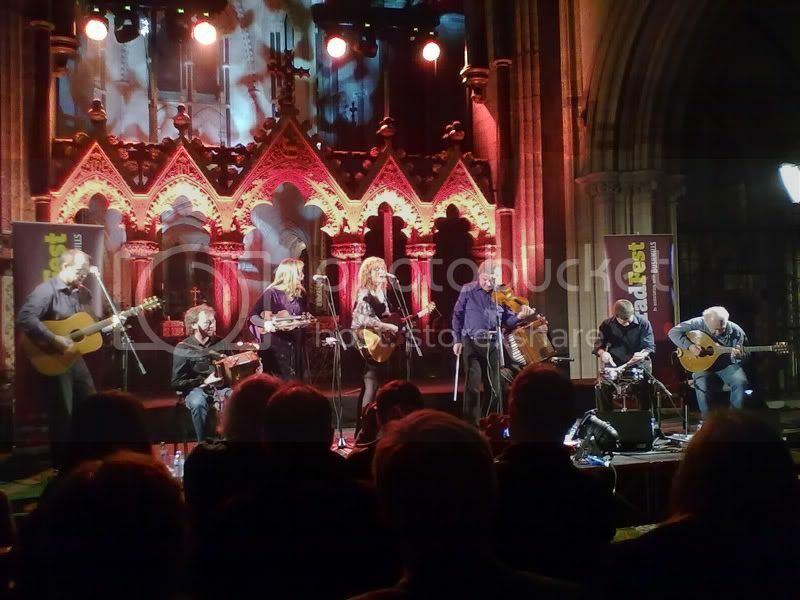 Oh, and can't wait to see the rest of the photos, Dubhy - especially if you have any of that rather "high octane" version of Teidhir Abhaile Ríu at the end!!!!
" Christ Church Gang " is a great name Dave,we have to keep it going.I haven't any photos of Teidhir Abhaile Ríu,but I believe that that a video is even better,the latter will make its way to You Tube soon. Dubhy63 wrote: I believe that that a video is even better,the latter will make its way to You Tube soon. I was rather hoping you were going to say that! Look forward to it! What a brilliant concert that was - I noticed several video cameras in the audience, so I'm looking forward to plenty of new youtube videos. Great to see old friends and new ones, and put faces to names at long last! Wow I was blown away by this concert - the best I have been to! 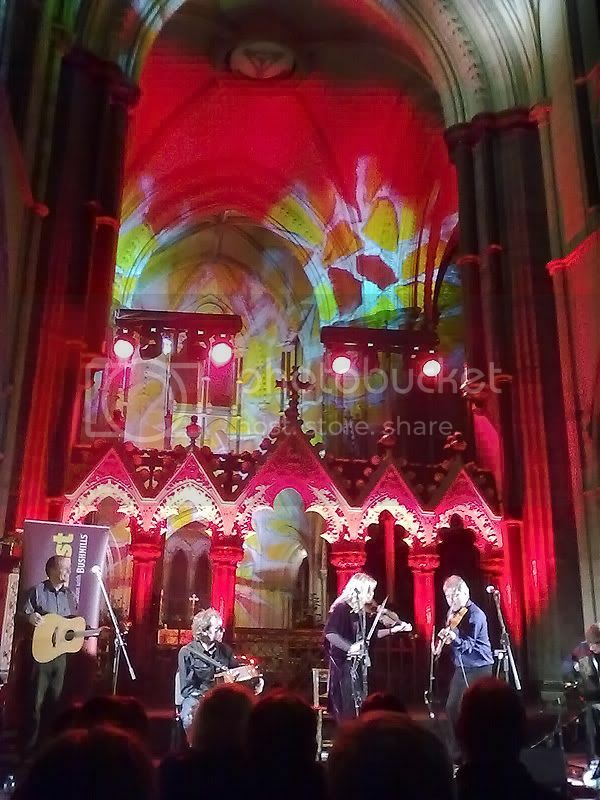 The backing of the cathedral architecture, the acoustics, the general atmosphere was ablaze. Was good to meet some more forum members and of course to see some old friends! Last edited by noodle on Tue Feb 01, 2011 1:10 am, edited 1 time in total. There's a bit missing at the start due to a change of batteries for my camera,but the rest brings back the fantastic atmosphere of the night. Last edited by Dubhy63 on Mon Jan 31, 2011 8:00 pm, edited 1 time in total. 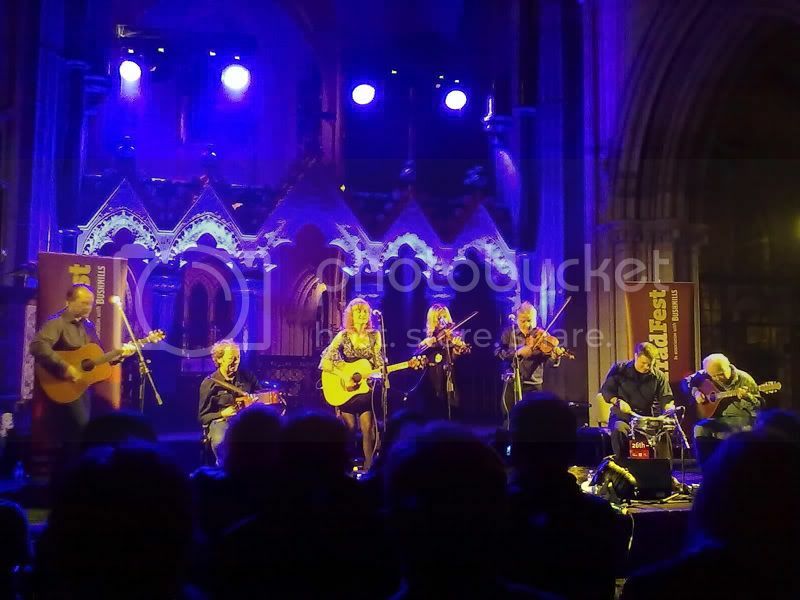 Thanks Dubhy - Great to have an unobstructed view at last, because the guy in front (who was taller than me) spent most of the song with his camera raised above my line of sight, so I ended up looking at it through the screen on the back of his camera! I think I need to start sleeping in a grow bag to gain some height! Hi Dubhy, many thanks for the brilliant video and photos. I hope I have taken also some good pics. I haven't downloaded them up to now because I have caught a cold in Dublin and yesterday after work I went straight to bed. But it's getting better now. Despite the cold I enjoyed the days in Dublin very much and it was nice to meet some of the forumers. (((((((((((((((((Susann))))))))))))) Sorry to hear you haven't been well. Look forward to seeing the pics when you're feeling better. I know we're milking this thread for all it's worth now (! ), but has anyone who went on Saturday heard about whether the concert is going to be televised? I've gone round and round the RTÉ and TG4 websites, but can't see anything - but those cameras must have been doing something useful!!! It goes without saying that I wouldn't mind seeing it again....and again....etc!